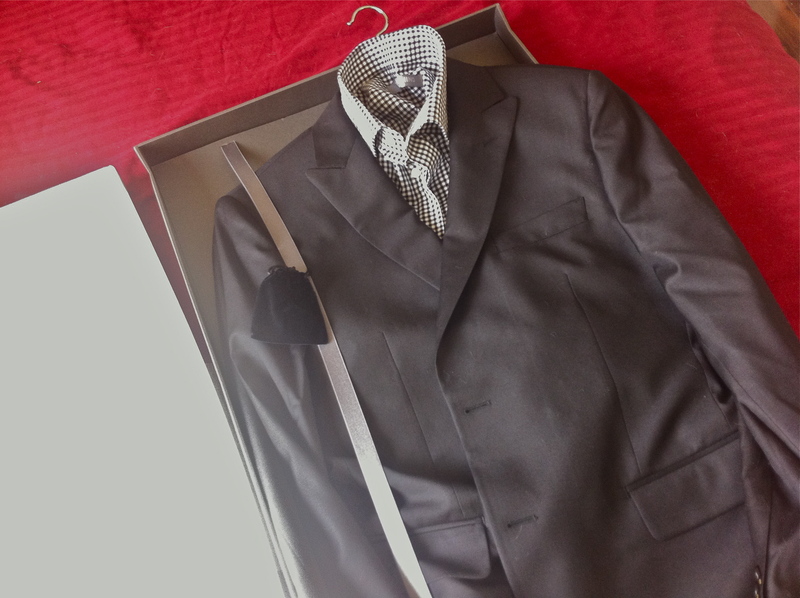 So this arrived today- The Essential Black Suit Jacket, The Essential Black Suit Pants and The Coordinator Black Gingham shirt from Indochino. Online tailoring is a harrowing experience; tradition dictates that a man be measured no less than 2 times before his suit is made- once before and once during the pre-fit. If it’s a bespoke order, no less than 16 precise measurements are taken to determine the exact fit used to make a well cut suit. Take the tailor out of the equation and potentially, you have a blind leading the blind scenario. For many of you first timers, a basic suit from Indochino will set you back around US$379, throw in a shirt (might as well) and a pair of decent cufflinks (because the same design retails for double at a store like David Jones or Myer) and you are talking about setting aside $500. Let’s talk basics- there’s no doubt that Indochino really uses super 150s (could be 120s but feels higher) wool for their tailored suits. The material feels smooth and luxurious and believe me when I say (as a fan of Savile Row), there’s no question that you are getting great value for what you are paying for. The suit is well canvased, it didn’t feel like it was fused, I tested by first pinching the fabric at the non-canvassed sleeves to get a feel of the wool, then comparing that tactile sensation by pinching the cloth on front of the jacket beneath the last buttonhole and trying to separate the layers of material- if you feel a third layer – the coat is canvassed. Cheap suits feel stiffer and thicker at that area- a dead giveaway that the jacket is fused rather than canvassed. Indochino passes the material and craftsmanship test. Now onto fit. 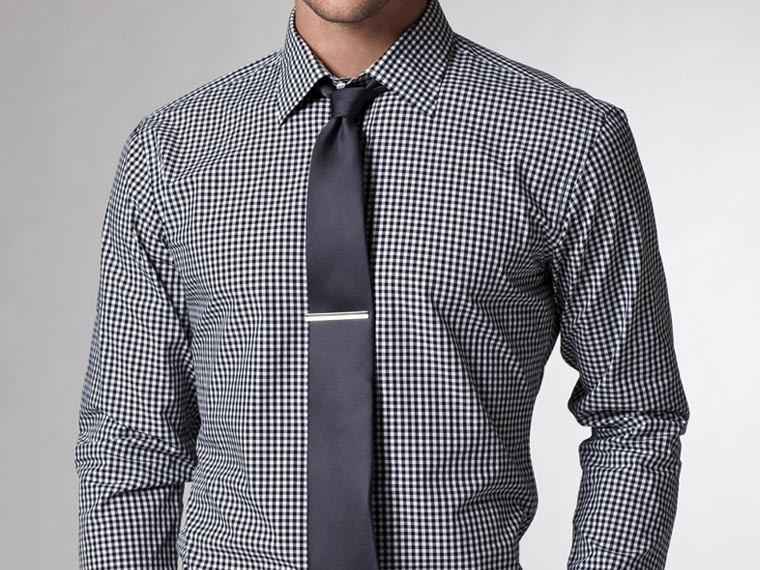 The Coordinator Black Gingham is not cut to as slim a fit as I would like but in terms of shoulder fit and arm length, the tailors at Indochino were spot on. The french cuffs were snug enough yet carried just the right amount of slack for an Omega Planet Ocean (that said, you have to take your preference for wrist jewelry into account when you take your own measurements). 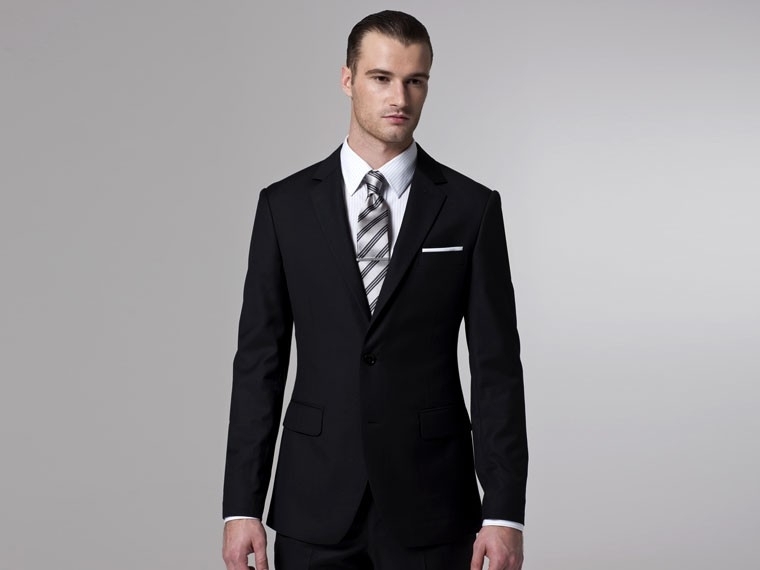 The Essential Black Suit Pants are amazingly well fitted. I couldn’t have got a better fit even if I went to the tailors in person. The super 150s make all the difference because wearing cut pants, it feels as if your legs are being caressed by silk and during a long meeting, it makes all the difference sitting there and sleeping paying attention. My only peeve, the waist is about 1 inch off but everything else including crotch and bum measurements were spot on. Not quite looking like this guy. Yet. The Essential Black Suit Jacket was always going to be the case making testimony to the genius that is the Indochino business model. One would figure that if the shirt and pants fit right (almost), the jacket couldn’t be too far off correct? Wrong. Let’s first start with what they got right. The shoulders were perfect, the right slope gave my shoulders the definition without making me look boxy; The drape (as with all properly canvased suits) followed the natural curvature of my back playing up the visual, ahem, majesty of my shoulders. What went wrong? Truth is the jacket was cut way too big. It was almost as if the tailors expected me to pack on extra pounds over the Easter long weekend. The width of the jacket sleeves were too spacious, I did state on the website that I had muscular arms and chest but I wasn’t expecting them to make a jacket meant for the likes of Stallone and Schwarzenegger. I was kind of confused at how they could make the shirt right (it’s still the upper torso) but yet get the jacket so wrong. But I guess every jacket has it’s silver lining (or in my case, fuchsia)- now I get to test their “perfect fit promise“. Stay tuned. Overall, they are quick to issue the “perfect fit promise” credit of $75 but the work taken by my tailor added up to $150. Indochino offers a great value proposition but if you happen to be into details (like I am), it could make better financial sense to just get measured up for a proper bespoke suit.